LEPIN to make Jon Hall’s F-26 Tempest! This just came to me so I had to put it here: LEPIN is about to turn MOC-er Jon Hall’s F-26 Tempest into a real set! Now, you may not know who Jon Hall is and it’s perfectly fine to carry on living without that piece of information. He’s just a very talented person, and most likely an AFOL, who makes some of the craziest alternative universe plane MOC’s ever! Or maybe they’re from some Anime, I don’t really know…I like them regardless! You can follow his work on Flickr and google him for some more information if you’d like, I don’t wanna emphasize on that. I learned about these creations a year or two ago, when his designs started making sensation on various LEGO related sites. 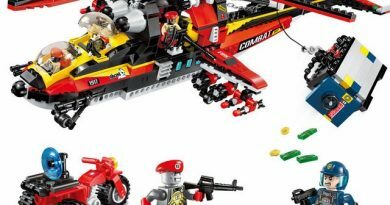 His plans are also available online (I’ve downloaded a photo shoot of how to build a V-30 Warhawk) so I’m pretty sure that’s how LEPIN decided to make this set. 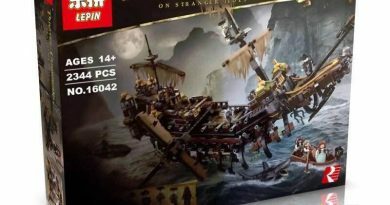 I don’t know if LEPIN asked Jon Hall first or if he’s getting some pay for this. 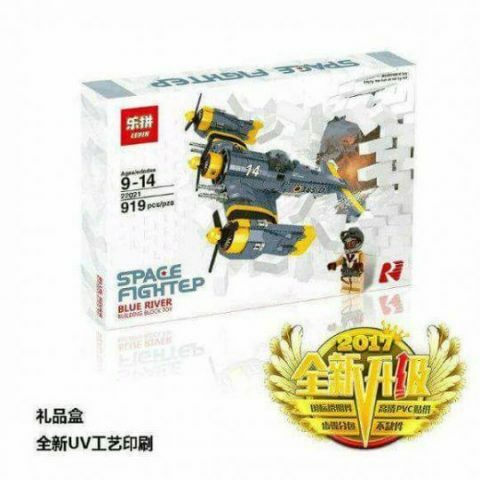 Probably not, since the set is called Space Fightep (I don’t know why they do that miss-wording) Blue River…that’s nowhere near the original name F-26 Tempest, so it’s a sensitive talk. 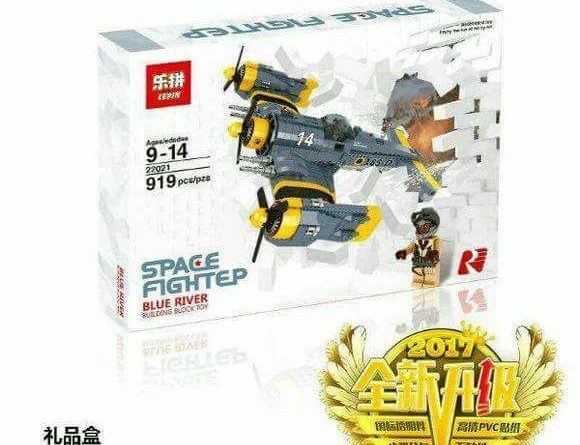 What I do know is that this is just f-ing awesome and quite probably the first “fan MOC to set” from a chinese brand ever? Remains to be seen when this will become available for purchase on Aliexpress (where else?). ← So, why go compatible? 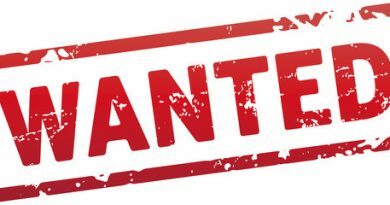 Here’s my Top 10 Wish List! What’s yours?